or order a sample and we’ll ship you a copy today! Our Spring 2014 issue focuses on Gender Issues. 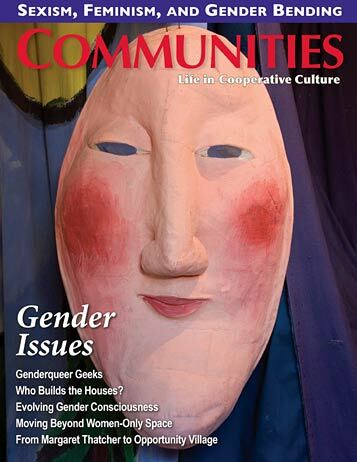 How do gender roles, gender relationships, and gender identity play out in intentional community? Our articles delve far beyond the confines of stereotypical male/female issues to explore what gender means to each of us. Authors discuss their experiences with gender-bending, genderqueerness, and expanding gender consciousness. They weigh the pros and cons of “corrective discrimination,” and some suggest it’s finally time to move beyond “women-only space.” We also hear about ground-breaking approaches to housing the homeless and how Margaret Thatcher helped the cause. Please join the discussion! Price Drop! 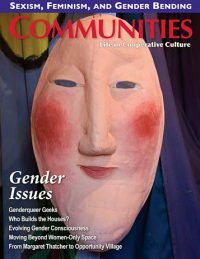 Save $18 off the cover price when you buy a 1 year subscription to Communities magazine with a copy of the Communities Directory. 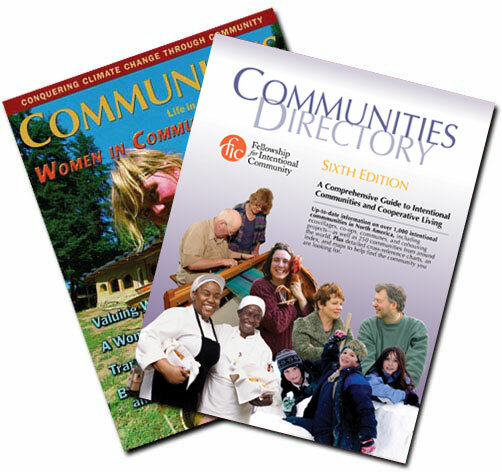 Only $42 gets you our quarterly magazine and our current Directory which lists over 1250 communities. Get yours today! Subscriptions: one year, 4 issues: $25 US | $35 Canada and all other countries. ← The Farm Communities Conference 2014 — Register Now!